We have all heard the stories from former NFL players of terrible health problems that plague them after they leave professional football. Now, 1,800 retired players are suing the National Football League in federal court. The suit claims that the 32 teams and their medical staffs did whatever it took to keep players in the game, including administrating powerful prescription drugs. 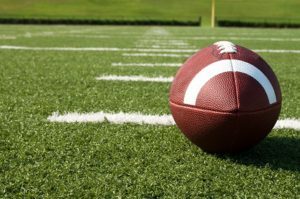 Players claim they are suffering organ damage and other health problems as a result of the overuse of painkillers and anti-inflammatory drugs given them by team physicians. Former players allege that the NFL failed to comply with federal laws that regulate how medics may administer such drugs to players. The players’ suit claims that when made aware of the serious problem and the violation of law, NFL teams, and the league itself either turned a blind eye or were slow to respond. The lawsuit also charges that the team medical staffs were very cavalier in their attitudes about prescribing drugs to players. The suit also claims that teams pressured their medical staffs to inject players with pain killers to keep them in the game. Of course, the NFL has denied all allegations in the lawsuit saying that their medical staffs are all in compliance with the Controlled Substances Act.